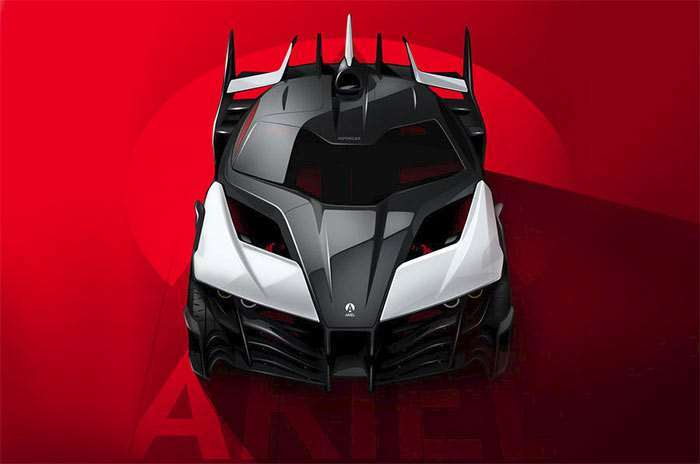 Ariel has a very cool new supercar that is in the works and will eventually come to market. The car is using the codename Ariel P40 right now and it is a beast. The car has an aluminum monocoque chassis and four electric motors making a combined 1180 bhp. That is enough to push the car from 0 to 100 mph in 3.8 seconds. Let that sink in, most super cars have a hard time hitting 60mph in that length of time. The car will have a smallish battery pack, but be good for up to 120 miles per charge. When that battery is dead, the car has a turbine range extender that kicks in and promises performance while on the road. Ariel thinks the car will be able to go flat out on the track for 15 minutes before needing a 50 minute charge. The four electric motors will make 1328 lb-ft of torque and use a fancy thrust and torque vectoring system to distribute that torque and limit wheel spin. The top speed on the car is 160 mph. The sprint to 60 mph is pegged at 2.4 seconds and to reach 150 mph will take 7.8 seconds. The car will cost £200,000.